Mill Stream Corp. of Hancock, Maine, has destroyed its cold smoked salmon products after Listeria monocytogenes had been found in the manufacturing facility and on processing equipment. The action was taken voluntarily under the supervision of the FDA. Mill Stream Corp. is a Maine food processing and storage company. Cold smoked salmon needs no cooking, being a ready-to-eat product and the presence of Listeria monocytogenes implies a high risk for public health. 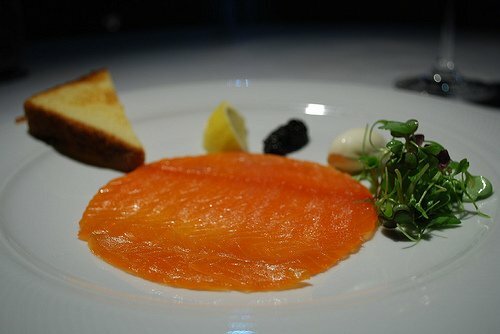 Cold smoked salmon is a ready-to-eat food and has to be destroyed if Listeria monocytogenes is found. The FDA has detected Listeria bacteria during an inspection in December 2011 and has ordered an administrative detention of the cold smoked salmon. “FDA will not hesitate to take immediate steps to protect the public’s health. We will aggressively use our enforcement tools to prevent potentially adulterated food from reaching the public,” said Dara A. Corrigan, the FDA’s Associate Commissioner for Regulatory Affairs. The FDA acts under the administrative detention authority for foods as amended as part of the FDA Food Safety and Modernization Act. When an investigator has a reason to believe that the food is adulterated or misbranded, the FDA may order the detention of food. A detention order may remain in place for up to 30 days. No illnesses connected to Mill Stream’s cold smoked salmon products have been reported. Illnesses or adverse events related to use of these products should be reported to the FDA at http://www.foodsafety.gov/report/index.html. Listeria monocytogenes is a bacterium that can cause listeriosis. The disease is rare, but severe and one can become ill by eating food contaminated with the bacteria. In healthy persons only short-term symptoms (high fever, severe headache, stiffness, nausea, abdominal pain and diarrhea) may occur. In elders, in persons with an weak immune systems (such AIDS), or in persons suffering from cancer, or other chronic medical conditions Listeriosis can be fatal. Listeriosis can lead to miscarriage, stillbirth and serious illness or death in newborn babies. The mother herself rarely becomes seriously ill.